Mark's Tickets is the best place to find tickets for Jerry Seinfeld fans. Just check this page for any new events or schedule updates throughout the year. We sell tickets to every Jerry Seinfeld event around the world. We know how passionate Jerry Seinfeld fans can be about comedy, so we make sure to have hundreds of tickets for every event available right up until showtime. For those looking for cheap Jerry Seinfeld tickets, we offer tickets starting at very low prices (many times below face value). We offer tickets in most sections of every venue that Jerry Seinfeld performs. Simply choose the city or venue that you are interested in below, and you will be able to see all of the available seats. 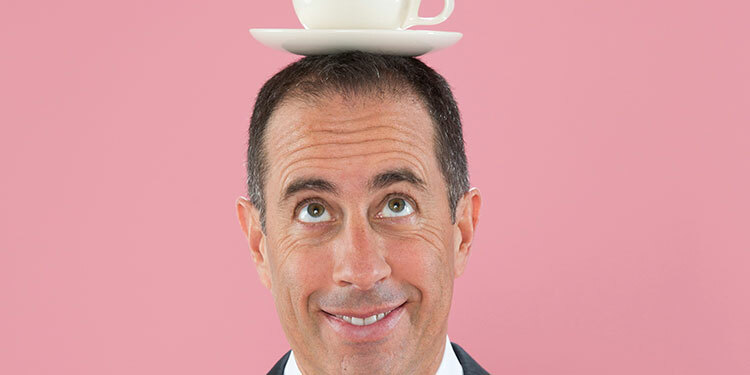 Do not forget that Marks Tickets also specializes in sold out Jerry Seinfeld tickets. No longer will sold out shows prevent you from seeing Jerry Seinfeld. In his first major foray back into the media since the finale of Seinfeld, he co-wrote and co-produced the film Bee Movie, also voicing the lead role of Barry B. Benson. In February 2010, Seinfeld premiered a reality TV series called The Marriage Ref on NBC. Seinfeld directed Colin Quinn in the Broadway show Long Story Short at the Helen Hayes Theater in New York which ran until January 8, 2011. Seinfeld is known for specializing in observational humor, often focusing on personal relationships and uncomfortable social obligations. In 2005, Comedy Central ranked Jerry Seinfeld 12th out of 100 as the greatest comedians of all time in its five-part special The 100 Greatest Standups Of All Time.